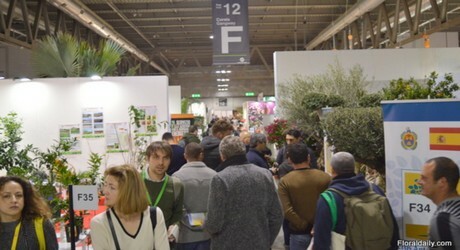 Italy: "The hard times are behind us, the trend up to 2022 is one of growth"
The Italian gardening industry is on its way up again. This was revealed in a recent study conducted by research institute Euromonitor International for Italian exhibition Myplant & Garden. They forecast a constant growth in the sales up to 2022, reaching the value of 2010 again, which was 3 billion Euro. In 2017, it was 2.763 million. All statistics will be presented in more detail at the fifth edition of Myplant & Garden in Milan, held from February 20-22, 2019, but we already give you a overview now. When looking at data collected by Euromonitor International, half of the total sales value in the gardening sector in Italy in 2017 - which was 2.763 billion Euro - was generated from horticulture, a third from gardening tools, 12% from pots and containers and 8% from garden care. Regarding the sales value of the Italian gardening industry in previous years (data collected goes back till 2012), the worst sales results were recorded in between 2012 and 2013 and gradually improved afterwards, returning in the black in 2016 and gradually improved till 2018. From 2018 till 2022, they forecast the sales to increase further. "The hard times are behind us, the trend up to 2022 is one of growth", they conclude. Interestingly, a similar trend is also visible in the previous editions of MyPlant & Garden. When looking at the first edition of the show, in 2015, and the last edition in 2018, one can see a sharp increase in exhibitors, visitors and exhibition area, year on year. The first edition hosted 339 exhibitors, welcomed 8,500 visitors and had an exhibiting surface of 25,000 m2, while the fourth edition hosted 655 exhibitors, welcomed 17,300 visitors and 45,000 m2 exhibiting surface, reaching record numbers in all areas. Click here for our article and photo report of the 2018 edition. 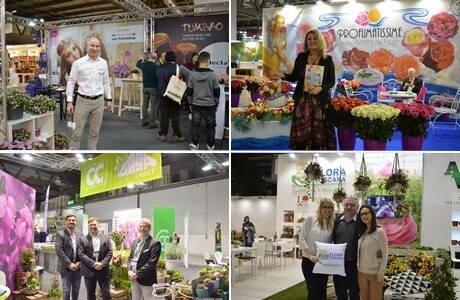 "We have brought back a horticulture trade fair to Milan after 15 years in 2015 and we are eager to become the only and all inclusive reference point for the sector", says Ferdinando Crespi of Myplant & Garden. In order to achieve this, they present and promote the whole green industry through its eight macro sectors; nurseries, flowers, decoration, landscape, machinery, services, garden care and pots. "Our aim for 2019 is to confirm once again the role of Myplant as the Italian landmark for the international green industry." Myplant & Garden – International Green Expo is organised by V Group with the support of the Consorzio Myplant & Garden, formed by a group of companies that represent the sector.